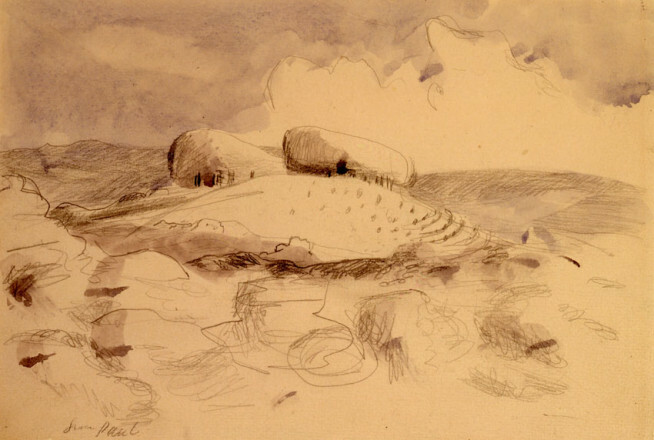 Brothers in Art… reunites the work of John and Paul Nash. It features over forty paintings, watercolours and drawings from public and private collections, providing a unique opportunity to view the two siblings’ work side-by-side, explored within the powerful context of conflict and memory. 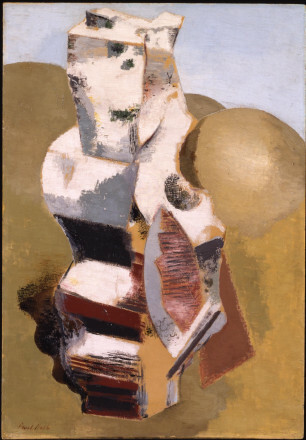 The exhibition begins its narrative in November 1913 with the brothers’ joint exhibition at the Dorien Leigh Gallery, London, following which Paul declared them ‘quite the rising young men.’ The show’s poster features both brothers standing side-by-side against a backdrop of fields and hilltops. Here, nestled between Paul’s monumental clumps and John’s swaying wheatsheafs, lies the focus of this exhibition. Both brothers’ art was immersed in landscape and nature, returning to fields, woodlands and shorelines throughout their lives. They shared a unique way of looking at the land, shaped by childhood pastimes and the travesty of war - both were appointed Official War Artists in their careers. 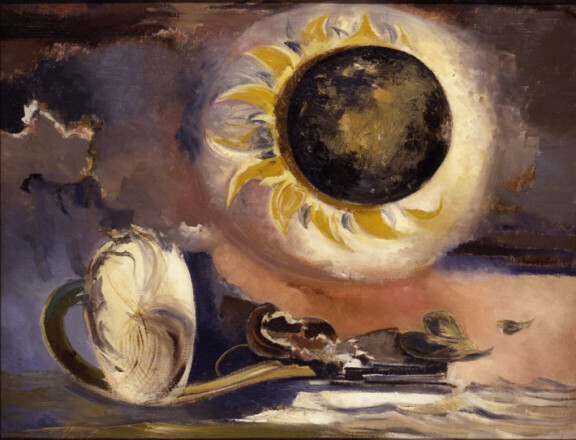 However, whereas Paul went on to experiment with abstraction and surrealism, and is now widely recognised as a major figure in twentieth century British art, John, consistent in his output, remains on the periphery. Interweaving the brothers’ two very different narratives after 1913, the exhibition explores the notion of both individual and collective memory through the haunting beauty of the English landscape: prehistoric sites, waterways and ancient copses build upon one another like layered memories. 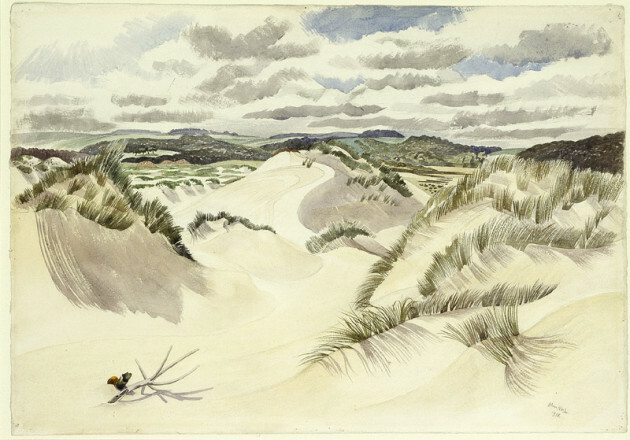 As well as rarely seen private collection works, the exhibition features some of their most familiar landscapes such as The Cornfield, 1918, by John Nash and Druid Landscape, 1938, by Paul Nash. It loosely follows their divergent paths, reconsidering the places and countryside which they lovingly renegotiated and reimagined after the trauma of not one, but two, world wars, telling the story of the brothers Nash, whose lives were interrupted and thus forever linked with the memory of conflict. This exhibition has been developed from an original idea conceived b yJames Russell, writer and curator. 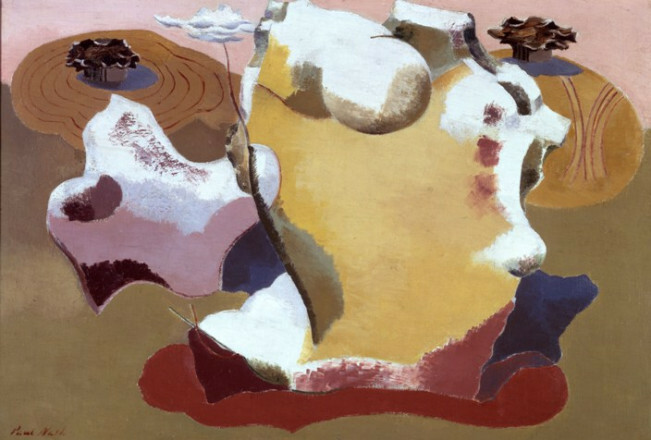 Back From the Front - Art, Memory and the Aftermath of Warexplores the theme of conflict and memory across a series of interrelated exhibitions including Brothers in Art: John and Paul Nash; Shock and Awe, and The Death of Nature.